You might think of the pipe between Opera and the user as a private channel. It's tempting to inject ads into that binary stream, behavioural or otherwise. Instead it's doing something subtly different. 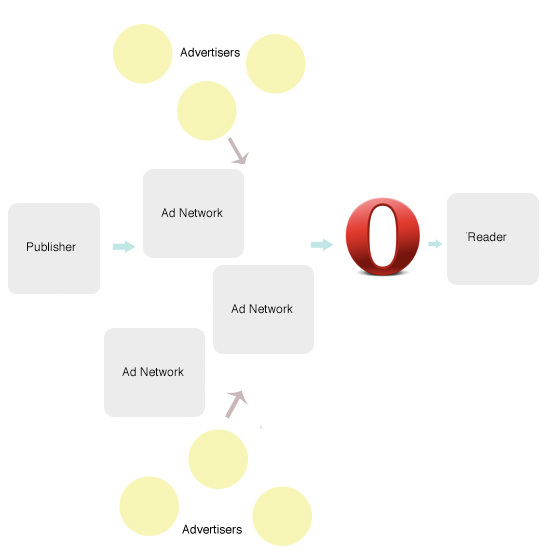 Opera is going to allow advertisers to compete with other ad networks for ordinary web pages. In January, Opera acquired AdMarvel, which it maintains with its own brand. AdMarvel has an unusual approach. 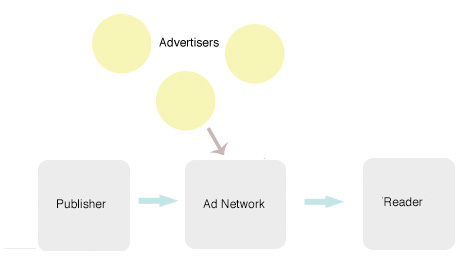 It isn't a conventional ad network, but rather performs arbitrage on competing ad networks, to allow advertisers to find the most effective properties for their ad spend. AdMarvel will swap out a Google advert for a rival ad network. How it works today: advertisers bid on an ad network for keywords. This puts it on a collision course with some of the most powerful forces on the web. Ad networks hate arbitrage, even though it's a valuable market function that lowers the cost of advertising for ordinary people. Google all but bans it, periodically kicking out publishers who it suspects of the practice. Google (and other ad networks) would rather you thought of them as "auctions", which are ersatz substitutions for the pure market. But we'll never know the true value of a keyword on a given day, at a given time, unless the ad networks are made more transparent. It's not a question of if, but when, the doors are blown off the keyword auctions. Whether it's Opera that pushes the plunger remains to be seen. Critics might point out that Opera's mobile web cache is restricted to certain markets - markets where mobile browsing is cheaper than landline internet access. When these mature, eventually landline will be cheaper, and the value of the cache will diminish. A similar argument is that once markets mature they buy "real" web browsers, such as the rich applications found on the iPhone and Android, and have less need for the mobile version. There's merit to both arguments. But it assumes Opera will stand still. Today, Opera Mini offers users a blazing fast experience on the iPhone that makes the native built-in web browser - which is excellent - feel painful. The fundamental technology reality is that it is cheaper to render on the server. For many instances this will continue to be true, provided that Opera continues to innovate and add value. Even on the fastest wireless network you can find - try loading a page on each, and then hit the back button.